The MRI Center houses the state-of-the-art Siemens MAGNETOME Aera 1.5 Tesla, one of the most advanced hardware and software configurations in MRI. With this top-of-the-line machine, MRI Center is able to consistently deliver better outcomes for a wide range of clinical examinations while lowering costs. Designed for maximum patient comfort, the MRI has a wider Open Bore that can accommodate patients up to 500 pounds. It also allows a variety of examinations to be completed with a design that takes into account claustrophobic patients. Its bigger bore opening and subtle lighting significantly improves the clinical environment, reducing the need for sedation and minimizing patients’ stress levels. 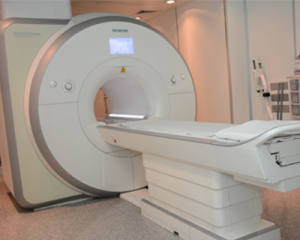 Manila Doctors Hospital’s MRI Center is manned by specially trained MRI technologists and radiologists certified by the Philippine College of Radiology (PCR) and American College of Radiology (ACR).